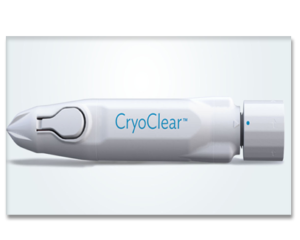 CryoClear® is a new cryosurgical device. CryoClear® uses compressed carbon dioxide (CO2) to treat a variety of epidermal (exposed) skin indications. 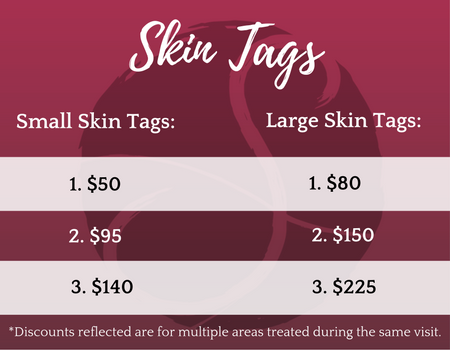 Cryoclear provides an efficient, painless way to give you tagless, spotless skin without any downtime! This treatment is safe to do anywhere on the body, including your delicate eye area! CryoClear® works by spraying Carbon Dioxide onto the skin, which freezes superficially at -79ºC where only the epidermal layers are treated. 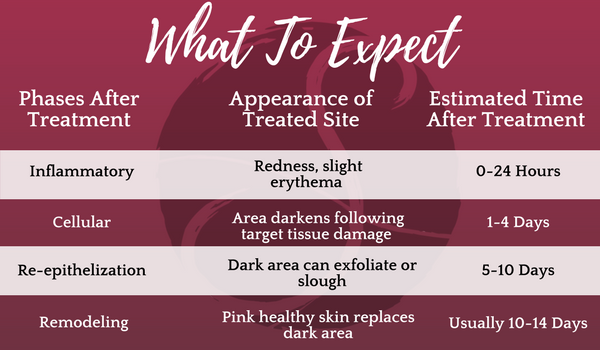 Because of CryoClear’s shallow but effective depth of freeze, CryoClear® greatly minimizes the risk of blistering, scarring and hypo-pigmentation- usually associated with colder forms of cryotherapy. 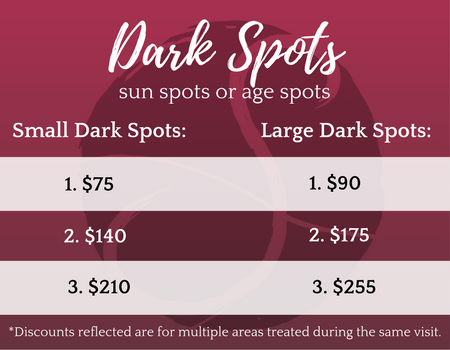 Discounts reflected below are for multiple areas treated during the same visit.